Andrea Pininfarina, Chairman and Chief Executive Officer of Pininfarina SpA, was the victim of a traffic accident on Thursday morning in Trofarello, in the province of Turin. 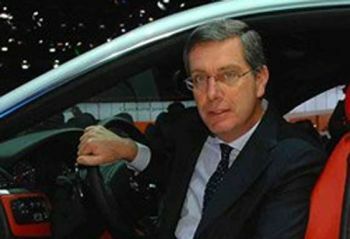 "It was with great sorrow that I learned of the tragic death of Andrea Pininfarina," Said Sergio Marchionne, Fiat Group CEO. "I am deeply saddened by this premature loss of a man who was highly valued and possessed great human qualities. "Andrea Pininfarina was a partner par excellence for the Fiat Group, who always brought us first-rate proposals and interesting ideas," added Marchionne. "On my own behalf and on behalf of everyone at Fiat Group, I wish to express our sincerest condolences to his family and our thoughts are with them at this difficult time." "The best way to honour my brother’s memory," said Paolo Pininfarina, Deputy Chairman of Pininfarina SpA, "is to continue to pursue with undiminished strength and determination the path that he had chosen for the Company."